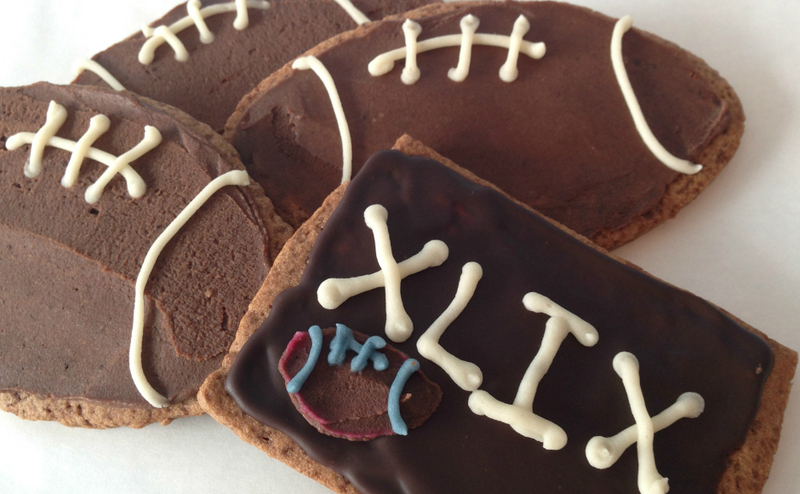 We asked area restaurants to share their best recipes for Super Bowl snacks. Here’s their selections. Super Bowl Sunday is one of the heaviest snacking days of the year, with American grocery bills for the weeks of January 23 and 30 topping the charts, according to a report in the Washington Post. For folks who are looking to serve up something special, we asked some of the restaurateurs in the NJ Pen coverage area to send along their top recipes. Take this list with you when you go shopping, and bring home a taste of the local eateries for your guests. Courtesy of Mark Smith at The Tortilla Press. 1. Melt butter in small pan. Stir in garlic for one minute. 2. Add hot sauce and honey. 3. 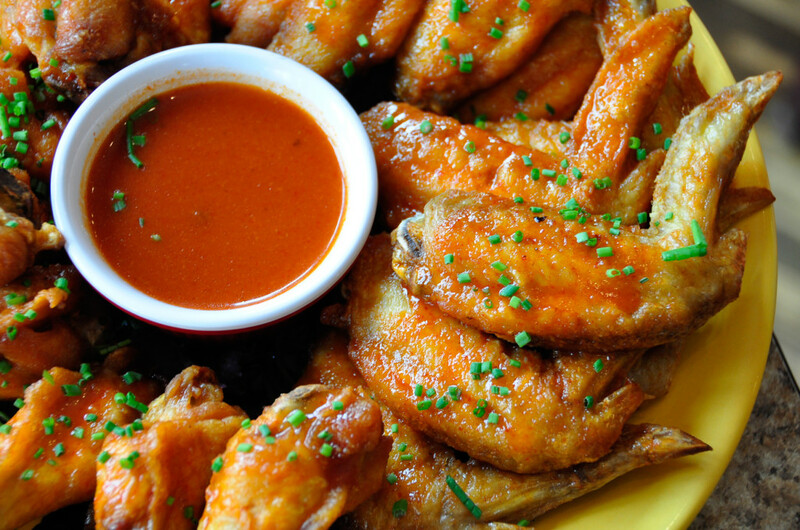 Fry or bake wings; toss in sauce. 4. Serve with salsa or guacamole ranch dressing. 1. Roast tomatillo, jalapeno and garlic till slightly blackened and juicy. 2. Cut tomato into chunks. 3. Place tomatoes, garlic, jalapeno, tomatillos, and accumulated juice from roasting into blender. 5. Add salt to taste. If too tart, add sugar to balance. 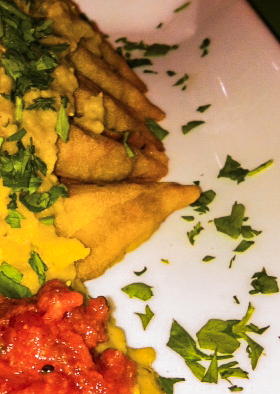 Samosas with Indial Dal. Credit: Stacey Douglas. Courtesy of Stacey Douglas at Espressit Coffee Shop. 2. Add onions and cook until softened, about five minutes. 3. Add spices and cook, stirring often, until fragrant; about two minutes. 4. Add lentils, broth, cilantro, salt, and bring to a boil. 5. Reduce heat to medium-low, cover and simmer, stirring often, until lentils are soft; about 15 minutes. Gluten-free sugar cookies. Credit: Jen Kremer. 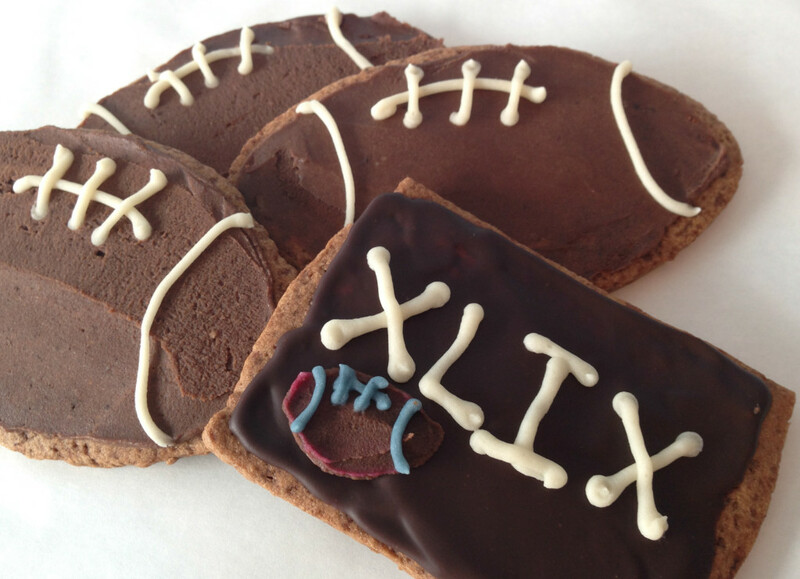 Courtesy of Jen Kremer at Sweet Freedom Bakery. 1. Preheat oven to 300 (convection). Line cookie sheets with parchment paper. 2. In the bowl of a Kitchen Aid mixer, cream coconut oil and sugar using the paddle attachment on medium speed. Once incorporated, add in the applesauce and vanilla extract. 3. In a separate bowl, sift together dry ingredients (flour, baking soda, xanthan gum, sea salt). 4. Add dry ingredients to the wet mixture and continue to mix on medium speed. Once incorporated, remove the batter from the mixture and form into a ball shape. (If too sticky, coat dough and your hands with a little potato starch, or place the dough in the mixing bowl into the refrigerator to solidify for 10 minutes before shaping it into a ball). If necessary, place the dough ball in the refrigerator to solidify for 30 minutes (or freezer for 15), or until firm enough to be rolled out. 5. On a piece of parchment paper, roll out the dough into a thin sheet (about 1/4 inch). 6. Using cookie cutters, cut out shapes and place onto the lined cookie sheet. Pop Shop pub sauce. Credit: Connie Correia. Courtesy of Connie Correia at The Pop Shop. 1. 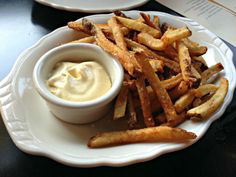 Whisk together mayonnaise, vinegar, garlic, mustard, tarragon, and salt and pepper, to taste. 2. Cover and refrigerate for at least 30 minutes. 3. Serve as a dip with roasted veggies, chips, chicken wings, and ribs. Bacon-Wrapped Medjool Dates. Credit: Valentina Fortuna. Courtesy of Valentina Fortuna at The Shop Cafe. 2. Using a paring knife, make a small slice on the side of each date and remove the pits. 3. Cut slices of bacon in half to create shorter slices. 4. 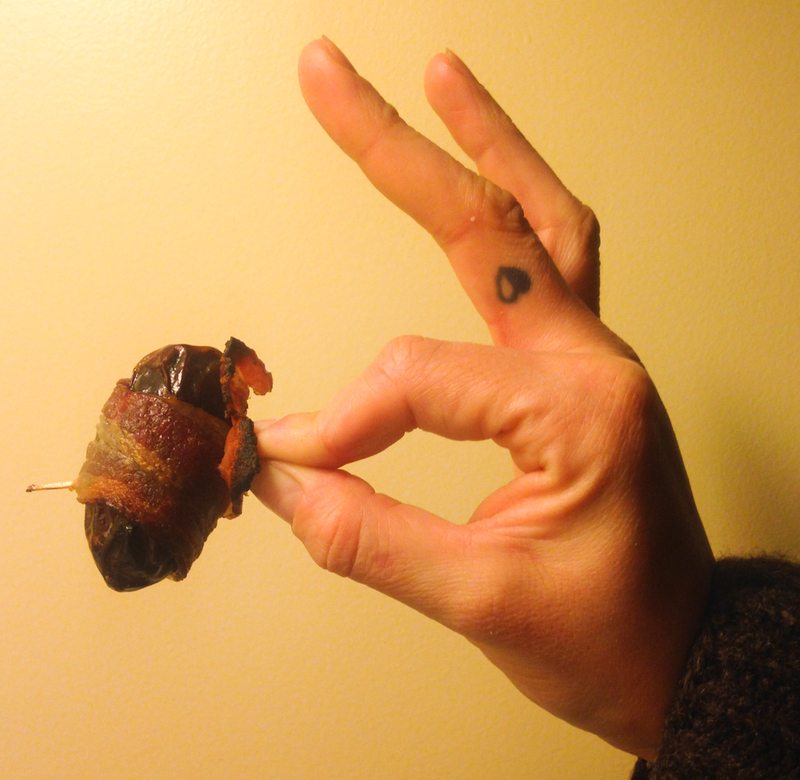 Wrap each date with bacon and secure using a toothpick. 5. Place wrapped dates on baking sheet and cook in the oven for 25-30 minutes or until bacon has crisped. Delicious served hot or at room temperature! Orange Salty Baked Apple Chips. Credit: Valentina Fortuna. 1. Preheat oven to 250 degrees. Line three baking sheets with parchment paper. 2. Thinly slice each apple to about 1/4 inch using a mandolin slicer or a sharp knife. 3. Place apple slices in a medium-sized bowl. Toss with remaining ingredients. 4. 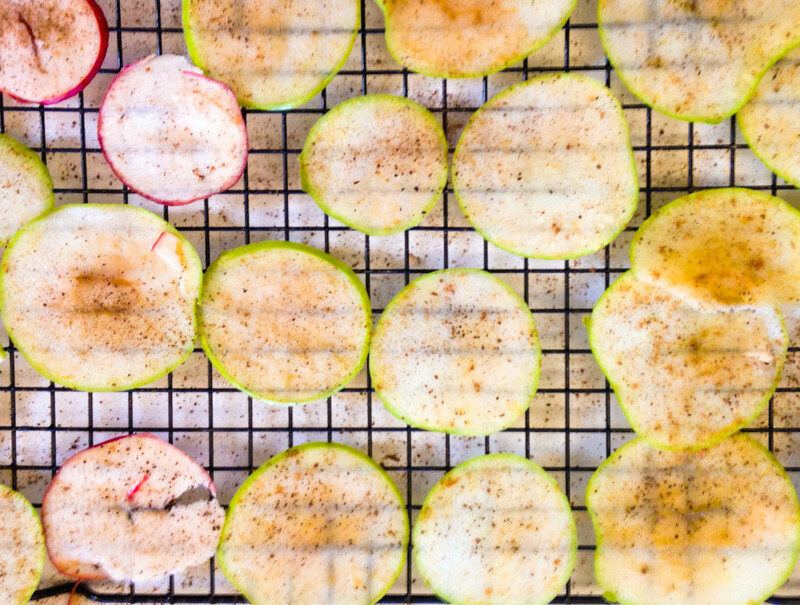 Place each apple slice flat onto baking sheets with even space between. 5. Bake on one side for 45 minutes, then flip each chip and bake for 45 more minutes. 6. Transfer chips to a cooling rack and allow to crisp as they cool. Mitchell and Geno sausage. Credit: Chris Michalak. Courtesy of Joe Gentile at Local Links. 1. Dice pepper, onion, and sausage. Grill/sautee and add tomatoes, beans, and seasonings. 3. Spread goat or cream cheese along bottom of a square baking dish. 4. Top with chili mixture and shredded cheese. 5. Cook until cheese is melted. Serve with tortilla chips.